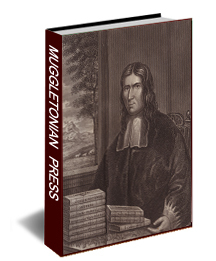 This volume contains the collected works of John Reeve (1608-1658) the founder of Muggletonianism, a religious sect that survived from 1651 until well into the twentieth century. Muggletonians believed that the spirit could not be separated from the body, that God was a man between five and six feet tall and heaven was six miles above the earth. They fought the Quakers with great venom, in the process developing a vibrant and unique theology and apologetic. 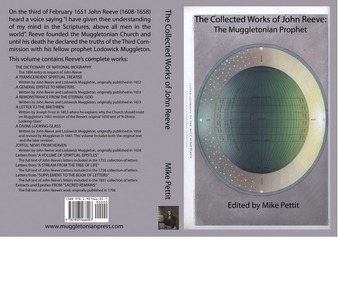 This volume contains fresh imprints of all John Reeve's published works together with some more modern literary references to John Reeve.